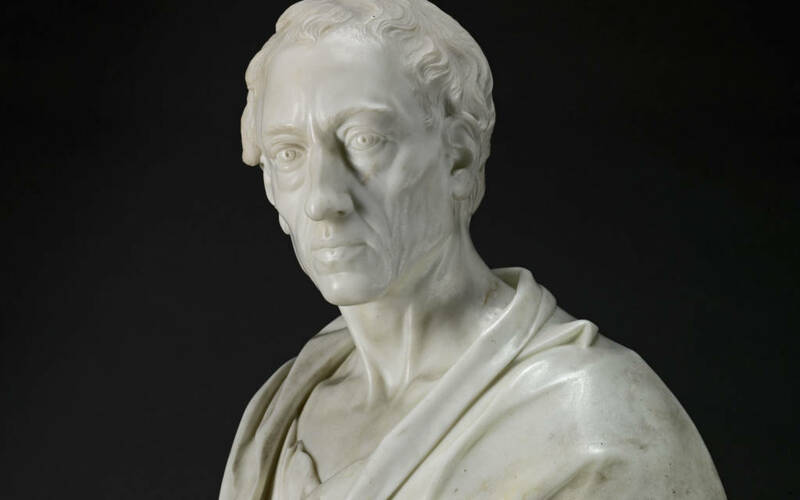 No contemporary figure in 18th-century Britain was more widely depicted than the poet Alexander Pope. 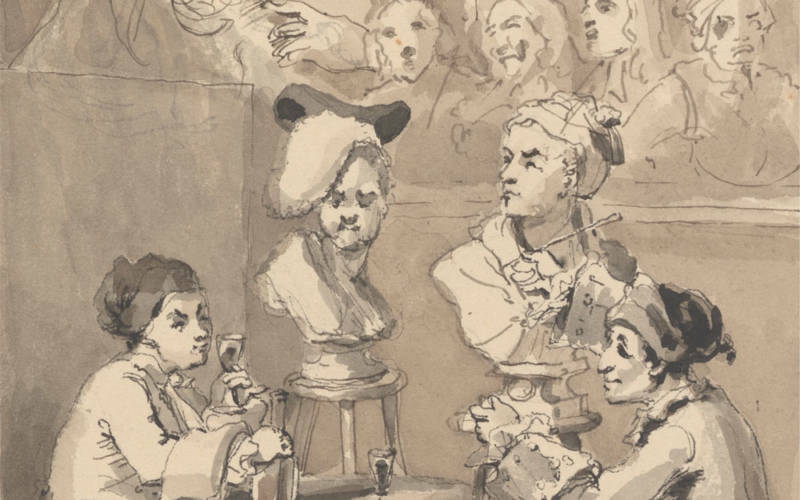 According to Voltaire, the image of the Prime Minister was to be seen only above his own chimney piece, while portraits of Pope were to be found in twenty noblemen’s houses. The leading literary figure of the age, Pope took great pains over how he was represented and carefully fashioned his public persona through images, published letters and the printed editions of his works. In the Red Ante Room, some of the most celebrated painted portraits of Pope were shown alongside a selection of the printed texts which he planned with meticulous care. But the core of the exhibition in the White Drawing Room consisted of eight different versions of the same portrait bust by the leading sculptor of the period, Louis François Roubiliac. 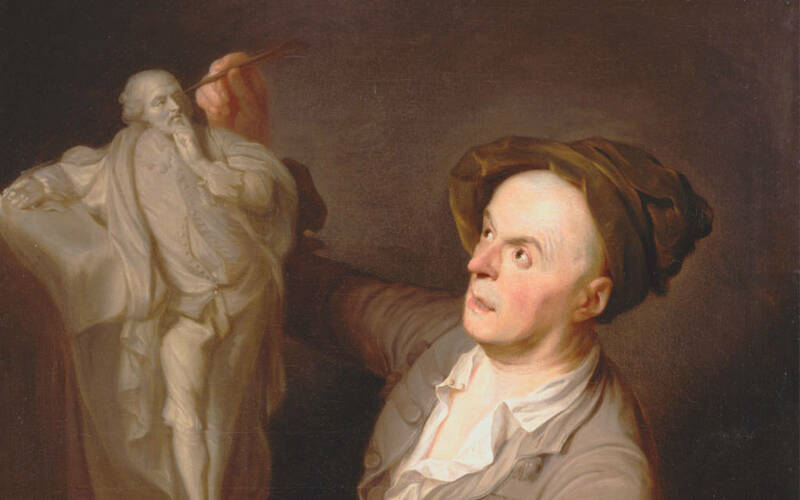 Recognized as the most compelling and intense image of a sitter who endured much physical pain, Roubiliac’s bust is among the greatest portrait sculptures of the 18thcentury, a period in which the portrait bust had a new prominence. The marble bust had long been seen as a form appropriate for the celebration of literary fame and Pope’s bust in part imitates busts of classical authors whose works he both translated and consciously imitated in his own poems. Multiplied and reproduced throughout the 18th century, Pope’s bust was the most familiar and visible sign of his authorial fame. At the same time, the bust was also used as a way of articulating friendship – a constant theme in Pope’s verse – and all the early versions of Roubiliac’s bust were probably executed for Pope’s closest friends. At the time when Pope was establishing himself as the first independent author, Roubiliac was acquiring fame as a sculptor of busts. 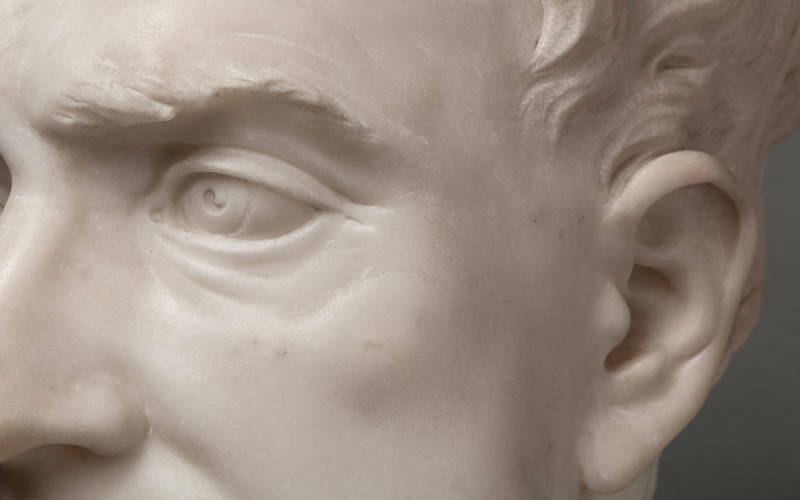 More than any other sculptor, he reworked the conventions of the portrait bust, transforming it into a genre that was considered worthy of close and sustained attention. Nowhere is this seen more tellingly than in his busts of Pope. Based on a vividly modelled clay original, the variant marble versions were carved with arresting virtuosity, recalling Pope’s own phrase, “Marble, soften’d into Life”. At the same time, the image was reproduced by both the sculptor himself and others in a variety of materials. By bringing together the eight versions thought to have been executed by Roubiliac and his studio, and a number of other copies in marble, plaster and ceramic, this exhibition offered the opportunity to explore how replication was so central to 18th-century sculptural practice, as well as how an author’s fame and friendships could be celebrated through sculpture. Malcolm Baker is Distinguished Professor of the History of Art, University of California, Riverside, and Honorary Senior Research Fellow at the Victoria and Albert Museum.